BBQ Chicken is popular in my house. I love making it on the grill but I tend not to use it in January. Especially with the weather we've been having! I'll settle for the crock pot instead. This version is sweet and savory. It goes great over rice or use it in a wrap or sandwich. Either way, it's delicious! Arrange chicken in bottom of crock pot. In a mixing bowl combine garlic, ketchup, soy sauce, honey, ginger, vinegar, and pineapple juice. Whisk until combined. Pour over chicken and add in the pineapple. Cover and cook on low for 4 hours. 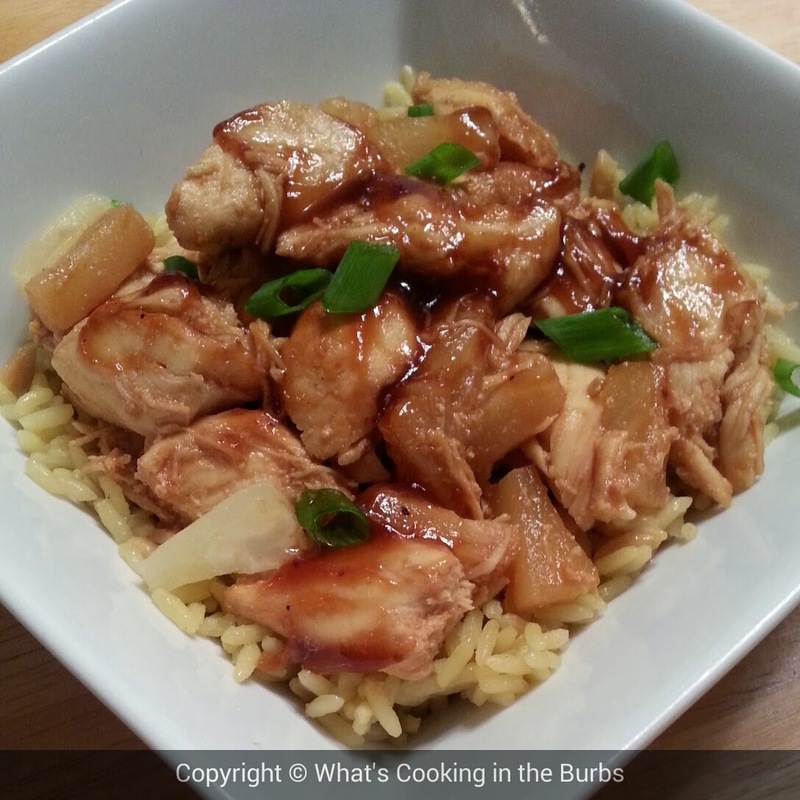 Break up chicken and serve over rice. Enjoy! This sounds delicious: Ginger, honey, pineapple, garlic. I bet the aromas in your kitchen were ambrosial. Thanks for playing with us at Foodie Friday! Your recipe is in the top five/most popular. Love the ingredients you added in the recipe . Popped by from Foodtastic Friday .